Thirty performers take to three stages over two days in Fort Wayne, Indiana’s second annual Middle Waves music festival, held September 15 & 16. Nestled in a bend of the St. Mary’s River, Middle Waves brings together an eclectic mix of rock, hip-hop, and indie sounds. They even host events for all-ages, with free entry to St. Mary’s stage, the main stage, for kids under 12. As a not-for-profit festival, some of the money raised goes back into the Fort Wayne area and the festival helps local artists, both performers and visual artists, gain exposure. In addition to music acts, Middle Waves hosts an abundance of food vendors, art installations, and vendors selling hand-crafted goods, like clothing and jewelry. The first ever Middle Waves festival, held last September and headlined by The Flaming Lips, drew in around 6,000 visitors, which organizers are hoping to match this year. As the festival grows, some hope it will become a destination festival, elevating Fort Wayne’s position on the music map of the Midwest. Two-thirds of events at Middle Waves are free and do not require a ticket. 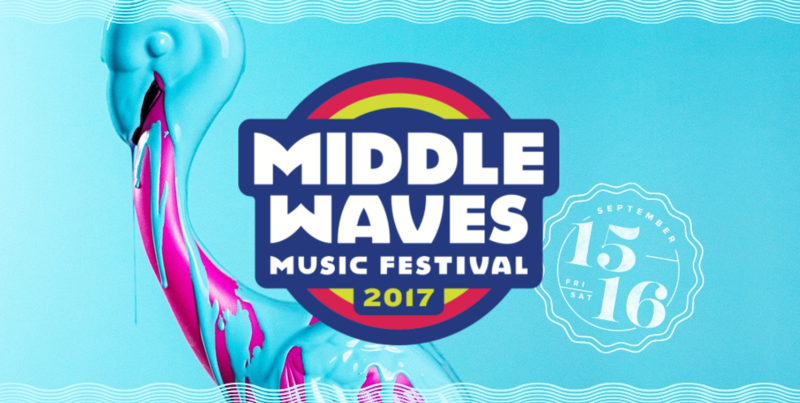 For ticked events held on the main stage, which includes the national acts, single-day and two-day passes from $45-$150 are available online at http://middlewaves.com/tickets/. Tickets are non-refundable.